This article has been published first on the blog Reshaping Europe. Several years ago, a Norwegian scholar named Asle Toje wrote a provocative pamphlet arguing that the EU is a small power. This view contrasted with that of many other scholars arguing that the EU still has the power to shape things globally, in spite of all its flaws, whether as a ‘normative power’ or even as an ‘emerging power’. Could the ‘Brexit’ scenario settle this debate for good? 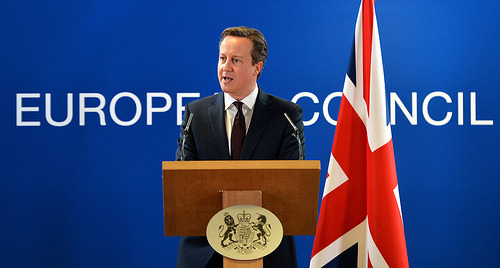 David Cameron’s electoral success means that the promised referendum on the UK’s EU membership will take place. The result of such referendum is unpredictable, as always. But ‘Brexit’ is no longer vague fiction. It has now become a real, tangible possibility. Therefore time has come to reflect seriously upon the consequences that this scenario could have for the EU, particularly its foreign policy and its global role. Evidently, the EU’s global power would be significantly weakened without London’s capabilities. In economic terms, the UK is the fifth world economy, worth more than India and Indonesia together – two major emerging economies. It is also a major trade and financial power, largely contributing to the EU’s global reach in this area. Whatever type of relationship develops after the Brexit, both sides would lose tremendously from their separation because the whole will always be greater than the sum of its parts in this area. The UK is also a major military power, the fifth in the world according to military expenditures, and the only EU country besides France that can deploy and sustain significant military power anywhere in the world. Recent budget cuts combined with rising military investments in emerging powers suggest that the UK’s military power is declining in relative terms. Yet it remains impressive by any standard. Furthermore, this economic and military power comes with an existing strategic culture and a highly skilled diplomatic corps, which have proven able to transform these assets into global influence. It is evident that the EU has benefited from this influence and capabilities. The negative impact of a Brexit would be perhaps less direct here, since European integration is less advanced in the security area. Cooperation could also be pursued on a bilateral basis with some Member States or within NATO. After all, some key operations such as in Libya where conducted outside the CSDP framework. Furthermore, London has not always been in the driving seat of the EU’s foreign policy, as illustrated by the Ukraine crisis. Thus, perhaps the UK’s retreat might be less noticed than some expect. Having said this, the Brexit would inevitably and severely limit the EU’s global ambitions and strategic reach. Lastly, the UK largely contributes to the EU’s soft power through its attractive lifestyle, its excellent universities and its quality media. The Brexit would inflict a double blow to the EU’s soft power. First, it would deprive the EU from some of its key soft power assets. Above all, however, the EU would suffer a huge reputational defeat in every corner of the world, offering the image of a failing model on a declining continent. Following the various crises (economic, political, identity…) that have affected Europe over the past few years, the EU’s image will not improve. In spite of all these negative effects, the Brexit scenario could still contain some opportunities for the EU’s foreign policy. First and foremost, it is assumed that the EU could become a more coherent actor – perhaps a more integrated one? – possibly also in the foreign policy area, without the constant blocking and bargaining from London. This may be the case…or not. Indeed, the UK does not have the monopoly of Euroscepticism, as illustrated by the rise of populism across Europe. Moreover, when it comes to foreign policy, every Member State – not only the UK – can be a leader or a blocker, and the practice shows that Member States’ positions depend on their national interest. In short, an EU ‘freed from the Brits’ is unlikely to become more active or coherent overnight. A second assumption is that a less capable EU, without UK assets, would have more incentives to pooling and sharing its fewer capabilities, and use them in a smarter or more organised manner. This, however, is pure speculation. Despite continuous shrinking resources, capabilities and budgets over the past decade, EU Member States remain reluctant to further integrate their security instruments. It is hard to see why and how the Brexit would change this.